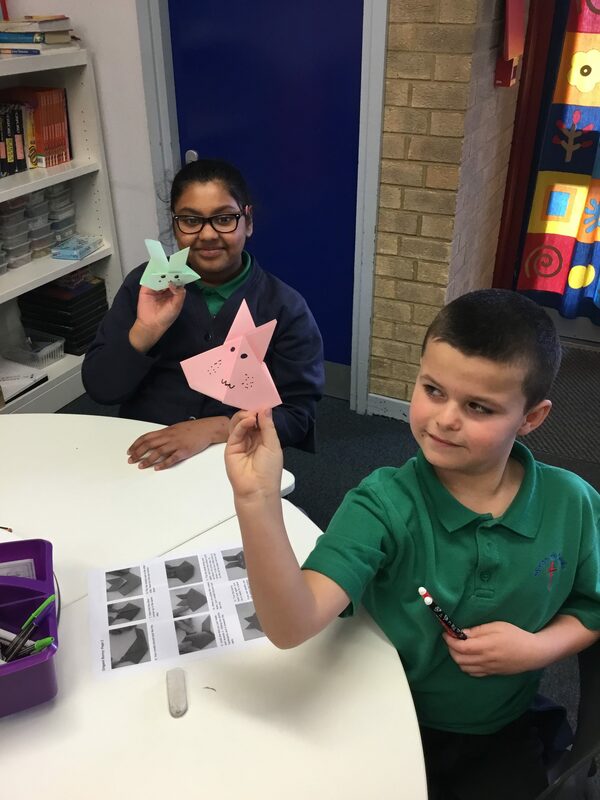 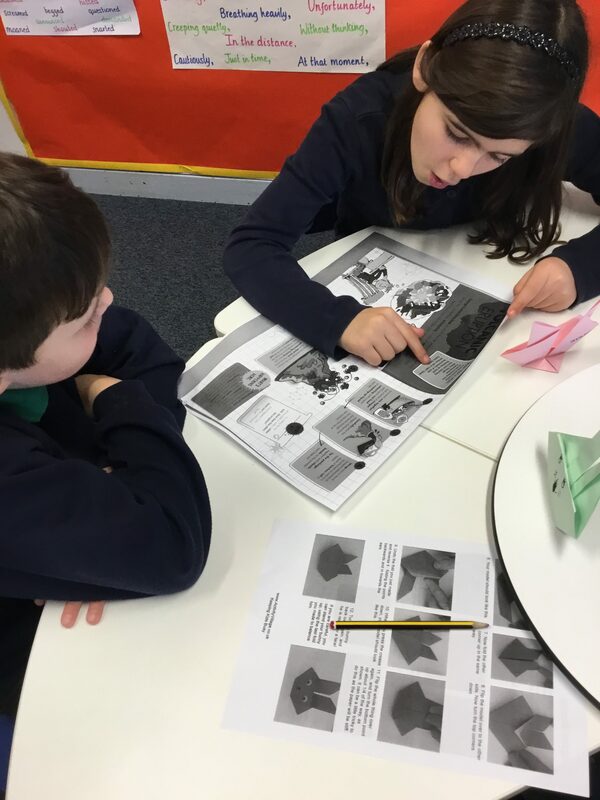 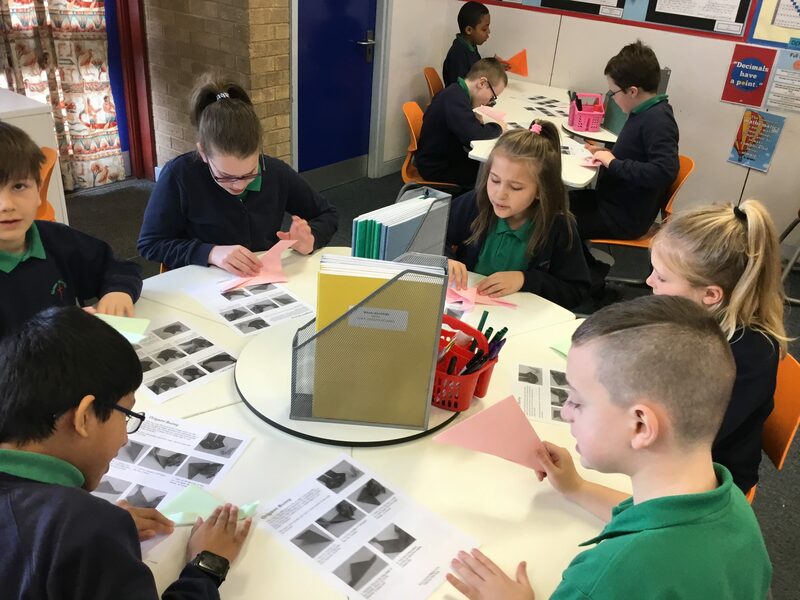 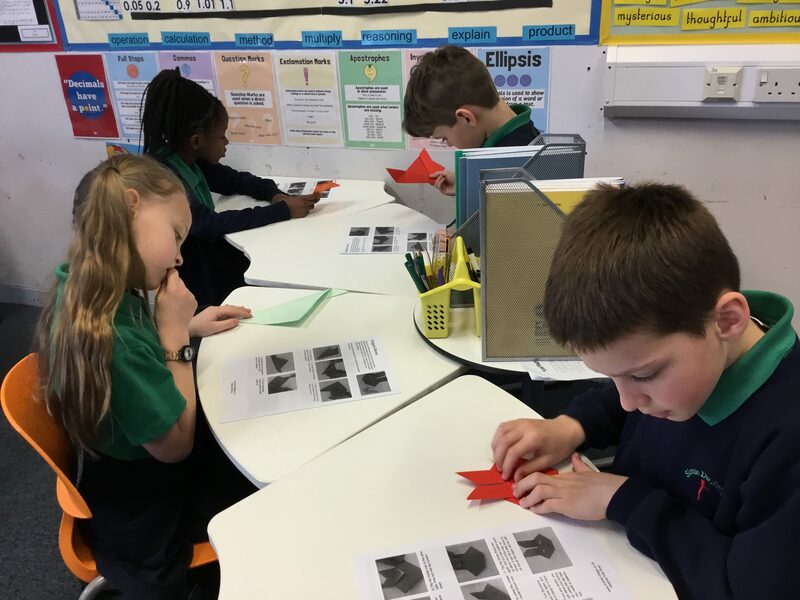 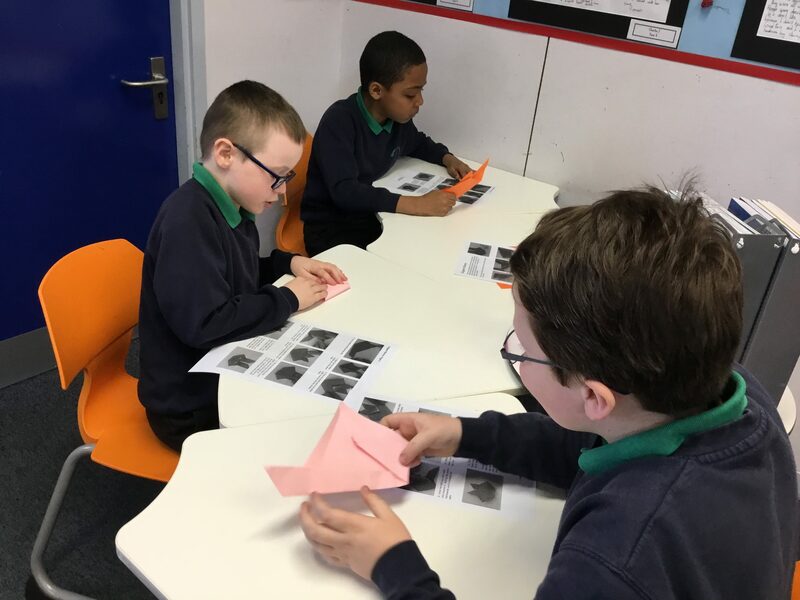 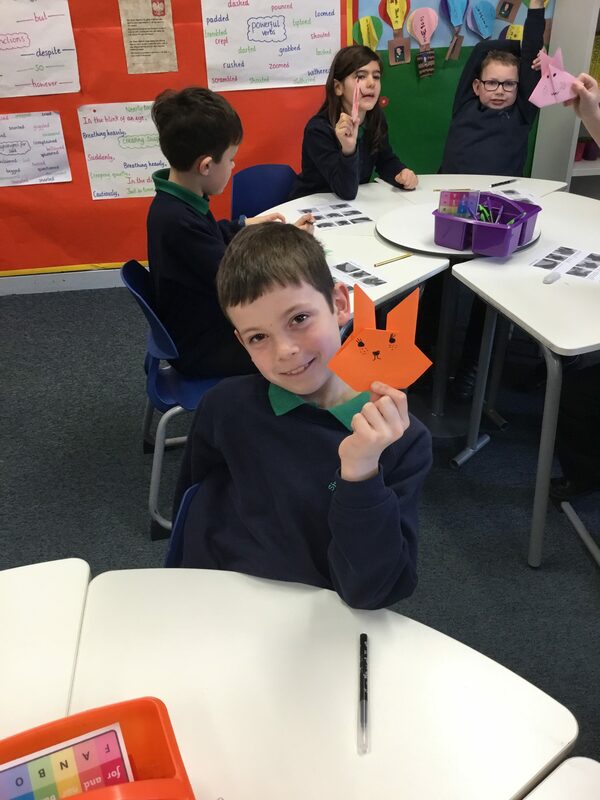 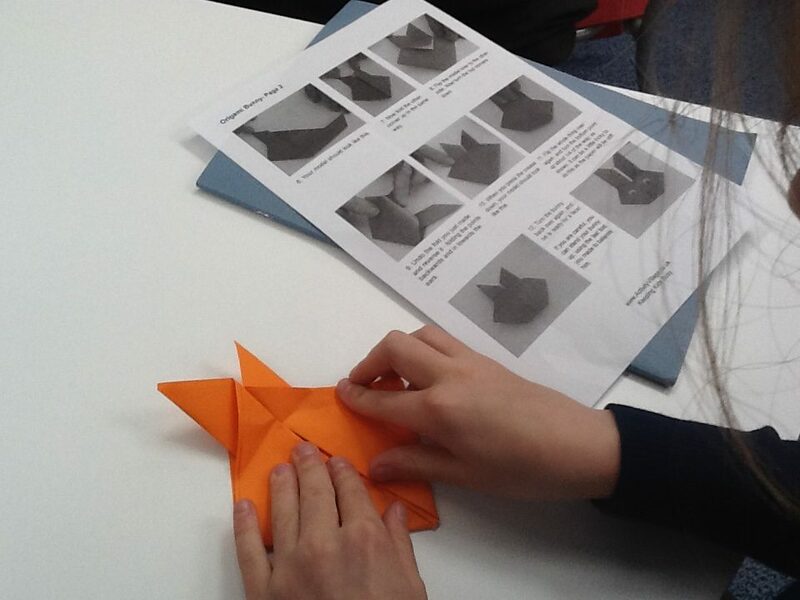 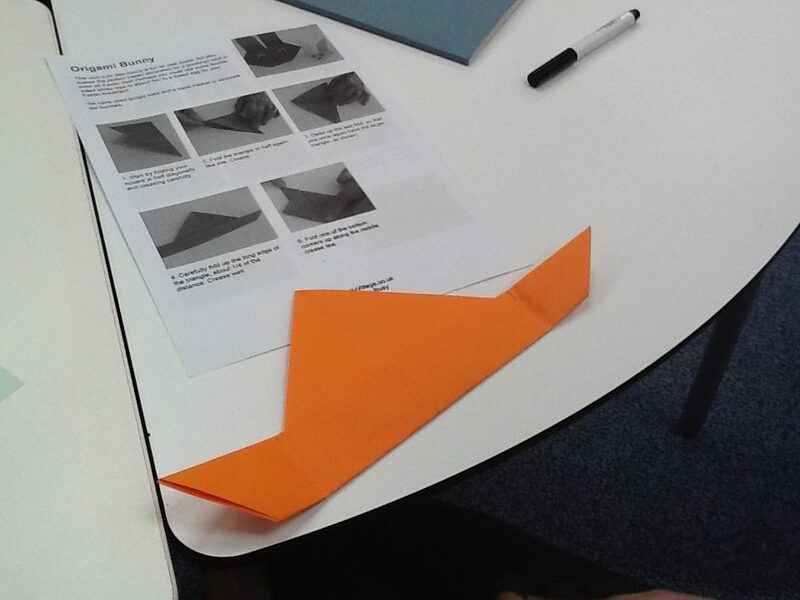 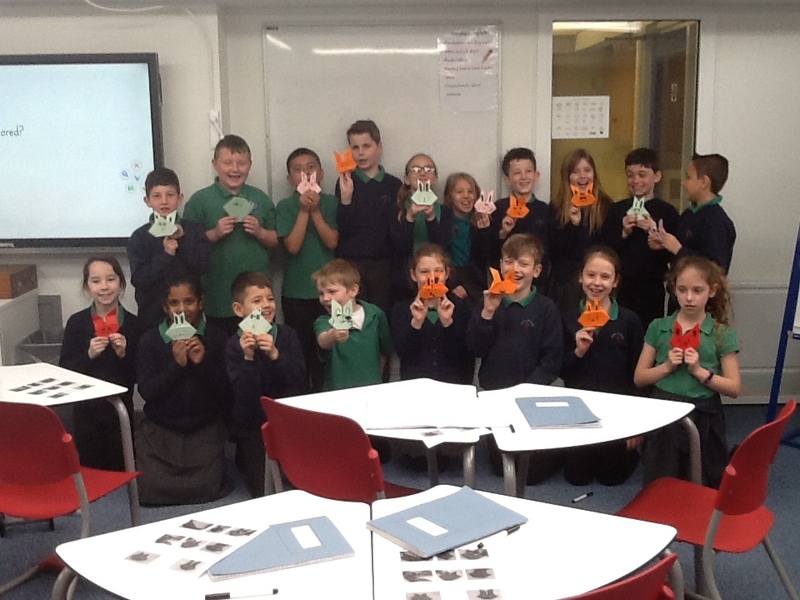 We have been following origami instructions. 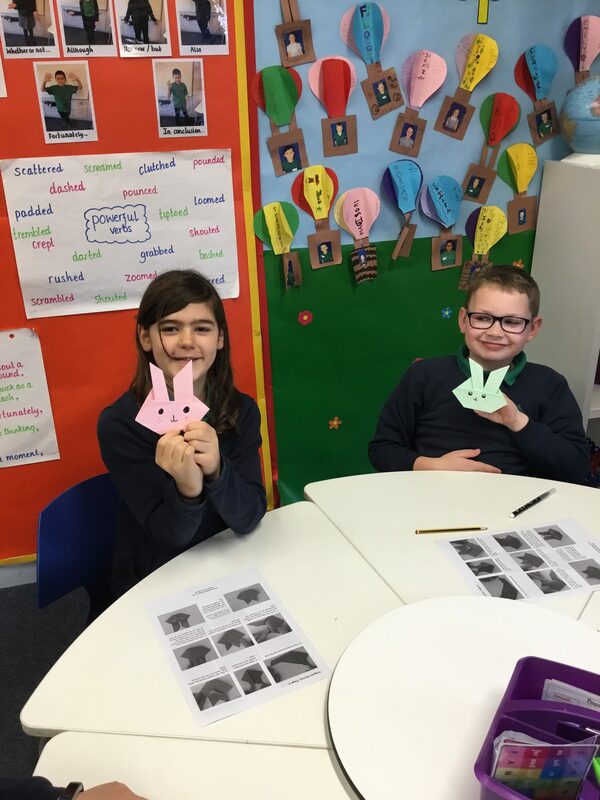 Everyone managed to successfully make an Easter bunny! 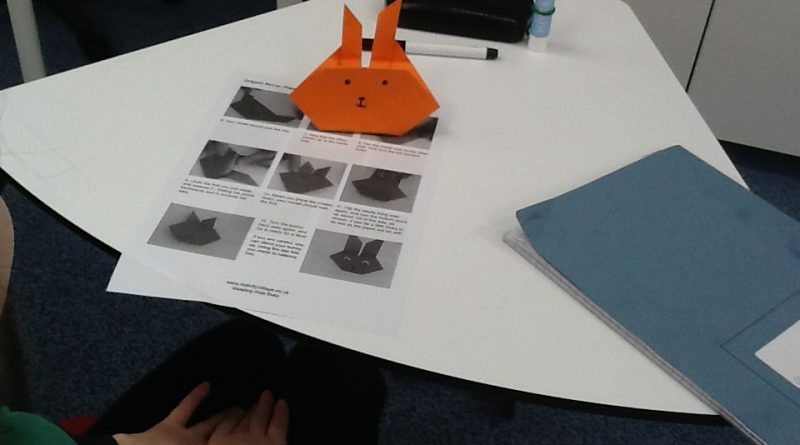 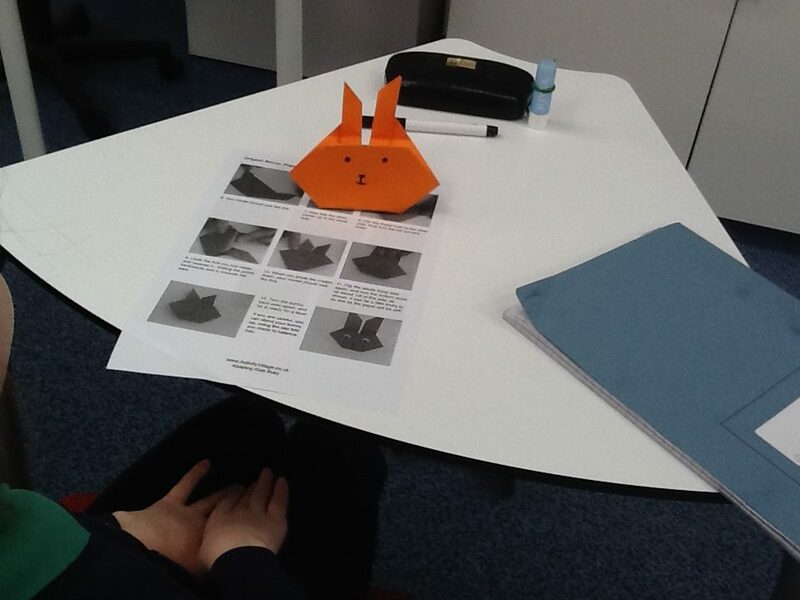 I loved this lesson and everybody’s bunnies were brilliant!